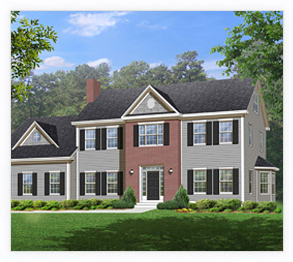 New construction in premier Westford neighborhood. This four bedroom colonial house is set in a great location on a quiet country road. The house will sit back off of Lowell Road facing into the Morning Glory neighborhood. The foyer on the first floor opens to family room on one side and living room on other side. Great living space w/ large kitchen, dinette, formal dining room plus a study, laundry & mudroom. Easy access to town center and highways. Five bedroom septic plan allows for expansion to finish attic or basement. House Size 3085 sq. ft.
Full Basement, Vinyl Siding, Insulated Windows and Doors, Wood, Tile, Wall to Wall Carpet Flooring, 200 Amp Electric, Paved Drive, Concrete Foundation, Hot Water - Natural Gas, Asphalt/Fiberglass Shingles, Range, Dishwasher, Microwave. Area amenities include shopping, walk/jog trails, golf course, bike path, conservation area, highway access.